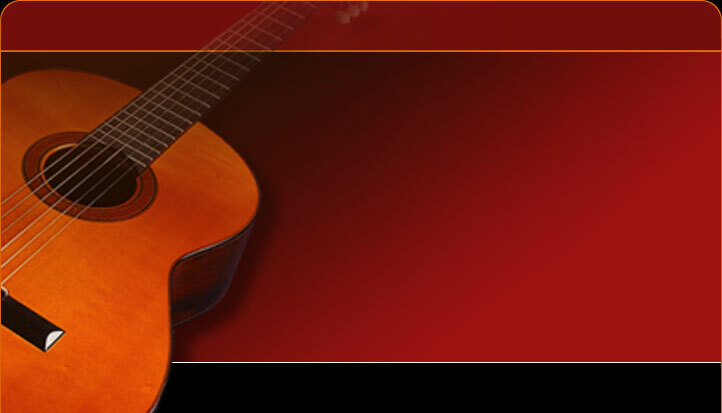 San Jose School of Guitar is dedicated to providing the highest quality musical instruction for all students ranging from beginning lessons to highly advanced. Guitar Techniques, History and Fret board theory& harmony (both written and aural) lessons are available to help aspiring musicians to maximize their potential, no matter what their age. 1- At San Jose School of Guitar the art of classical guitar and the philosophy of this art are presented to the students as well as correct sitting, right hand and left hand positions. The discussions not only include presentation and classification of successful methods which have been developed and published by great classical guitar pedagogues but also practical usage of these methods in order to help students develop strong and powerful motor skills, finger power and music reading and performing abilities. This approach is essentially based on historical and contemporary classical guitar methods such as: 18th and 19th century guitar pedagogues including: Carulli, Carcassi, Giuliani, Sor, Aguado and Tarrega to more modern guitar educators and pedagogues of the academic institutions of the United Sates such as: Grammy Award winner Scott Tennant from University of Southern California, Manuel Barrueco from Peabody Conservatory of Music at John Hopkins University and Sharon Isbin from Julliard School of Music in New York. 2- At San Jose School of Guitar children become familiar with the general concept of music through listening and singing some of the most memorable and beautiful nursery songs as well as rhythmical movements to help their coordination and music appreciation skills develop progressively. The students become familiar with kid’s size guitar by drawing it, painting it and a simple woodworking experience before holding it to learn how to play the guitar. The foundation of this unique approach is based on Kodaly and Dalcroz internationally examined and successful methods. 3- At San Jose School of Guitar adolescents and teenagers are introduced to artistic arrangements of pop songs. This repertoire includes: “Stairway to heaven” by Led Zeppelin, “Yesterday” by the Beatles, “Dance me to the end of love” by Leonard Cohen and many more. Usually teenagers are offered to talk with their instructors at SGSJ about their favorite song to learn and play as a goal in their education in this institute. The idea is based on teen personalities and characteristics which are motivated through short term and interesting goals. Many essential techniques of guitar playing are taught to them profoundly through these songs. As they are more interested in classical music their instructor makes a smooth transition for them to the adult education methods of the school which include history and philosophy of classical guitar in practicality and theory.